Collects Moon Knight (2017) #188-193. A new day is dawning — and with it comes an enemy unlike any Marc Spector has ever faced! Moon Knight has always been a protector from the shadows, but this new enemy is out to extinguish those shadows with blinding light and fire. Get ready for the introduction of Moon Knight's greatest nemesis! 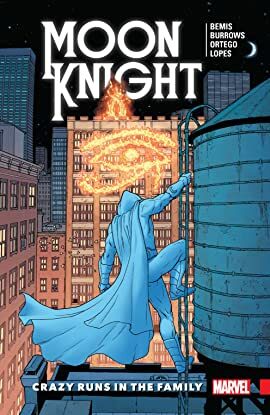 But as the path of the Sun King brings him ever closer to Moon Knight, Marc has problems of his own: A man known as the Truth is driving people to suicide! Thank goodness Marc's got his personalities under control. (He does have them under control, right?) Things get worse when Sun King and Bushman hit Marc where it hurts the most, and Jake Lockley's dark secret is revealed! 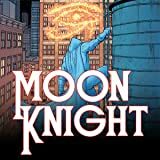 Will Moon Knight finally be eclipsed?